October 23, 2011 - A bipartisan U.S. Congressional delegation conferred in Montreal on Friday with International Civil Aviation Organization (ICAO) leaders regarding U.S. opposition to the European Union’s emissions trading scheme (ETS). This costly EU scheme would impose new taxes and emissions cap and trade requirements on U.S. and other nations’ air carriers flying into and out of the EU. Transportation and Infrastructure Committee Chairman John L. Mica led the delegation of U.S. Representatives and Committee Members. The delegation met with top ICAO leaders, including ICAO’s U.S. Representative, Ambassador Duane Woerth; President of the Council Roberto Kobeh Gonzalez; Secretary General Raymond Benjamin; other ICAO delegates, representatives of the United Kingdom and the EU, and other officials. ICAO is the primary organization that sets international aviation standards. “If imposed on January 1st, this tax could close down direct travel from most central and western U.S. airports to Europe, and remaining airline ticket costs would skyrocket. 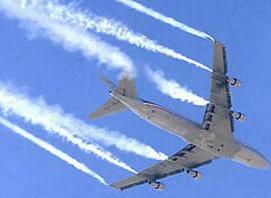 This ill-conceived EU aviation tax scheme is a violation of international law,” Mica said. “We are asking all nations to oppose this tax by the European Union in favor of a positive outcome which can be achieved by working with ICAO and the international community,” said Aviation Subcommittee Chairman Tom Petri (R-WI). On September 8, 2011, the Transportation and Infrastructure Committee approved H.R. 2594, the European Union Emissions Trading Scheme Prohibition Act of 2011. The House of Representatives is expected to consider the bill next week. This legislation, sponsored by the bipartisan leadership of the Committee, the Aviation Subcommittee, and other Members, is a strong response to the EU’s emissions scheme and prohibits U.S. aircraft operators from participating in the ETS. The bill also instructs U.S. officials to negotiate or take any action necessary to ensure U.S. aviation operators are not penalized by any unilaterally imposed EU scheme. According to testimony presented to the Transportation Committee on July 27, 2011, the Air Transport Association suggested that this scheme would cost U.S. airlines more than $3.1 billion between 2012 and 2020, which could be used for more than 39,200 U.S. airline jobs. Moreover, these costs could double if the cost of carbon allowances in Europe returns to where it was within the past two years, in which case more than 78,500 U.S. airline jobs could have been supported. In addition to the United States, other nations have voiced opposition the EU’s scheme, including Argentina, Brazil, Chile, China, Colombia, Cuba, Egypt, India, Japan, the Republic of Korea, Malaysia, Mexico, Nigeria, Paraguay, Qatar, the Russian Federation, Saudi Arabia, Singapore, South Africa, and the United Arab Emirates.